The current circumstance for public higher education could be summarized as a series of unfortunate and unexpected events. New challenges and growing problems are bombarding institutions across this nation from many different angles. Currently, the heightened awareness regarding sexual assaults on campus has resulted in a series of fines, penalties and firings. This growing issue comes after a wave of challenges from diminishing public funds, a shift in focus for performance funding – inputs to outputs, all complicated by a growing number of under-prepared students. Quite possibly, risky business may be a more fitting term to describe the current landscape for public higher education. 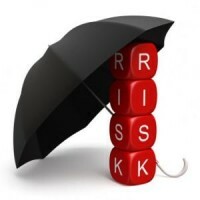 While risk is an assumed component of strategy and decision-making for any organization, a formal approach to assessing risk is not as common as one would expect in public higher education. The Association of Governing Boards of Universities and Colleges and United Educators researched the use of risk management in higher education. While a growing use of risk management was identified, there is a lack of the depth and breadth of impact on decision-making within institutions. More relevant to this discussion, only 25 percent of the survey participants were from public institutions. Private institutions of higher education are more accustomed to risk management practices, given the norm of uncertain revenue streams – tuition, grants and donations. Public institutions have now involuntarily entered this realm, with few tools to save the day. Risk management is a very useful tool for organizations, but only when applied to attaining goals. During an interview on Bloomberg Television’s “Bloomberg West,” Lloyd Blankfein, CEO and Chairman of Goldman Sachs, discussed the increased importance of risk management on Wall Street, driven by the growing volume of daily transactions in the marketplace. Managing risks for financial markets is the primary guide to ensure goals are sufficiently met, factoring time, resources and constraints. If we extract these three components from the context of financial markets, I see no reason why the same approach could not be applied to risk management in public higher education. However, the perception of risk is not quite as universal in public administration as it would be in the endeavor to make money. An article published in the September/October issue of Public Administration Review highlights the inevitable organization/client mismatch in risk perception for many public services. The challenge of aligning perceptions of risk and organizational outcomes does not, in my opinion, diminish the value for good risk management for certain public services. Quite possibly, a new perspective and value for risk management in public higher education may be the missing link to a much-needed paradigm shift in the industry. For too long, public higher education institutions have been guided by strategic plans and budgets to set and manage goals. Yet, these documents more than often serve as artifacts of compliance, rather than true guides for decision-making and institutional planning. Budgets evolve in incremental fashion and follow a slow linear path upward or downward, often in equal measure across the enterprise. Strategic plans, beyond serving a compliance requirement, focus on what needs to happen for the institution given certain constraints and not what should or could happen given the proper controls. Neither fully meets the need for a proactive planning tool. The management and assessment of risk is of a different nature, much closer to SWOT (strengths, weaknesses, opportunities and threats) frameworks, focusing on weaknesses and threats. To transition public institutions of higher education beyond the conversation on challenges in the midst of scarce resources, I believe a higher value for risk management can provide the industry with the proper tool to become more proactive in weathering this turbulent environment, and in turn better align desired outcomes with more intentional actions. Using risk assessment and risk management in a more useful way can provide several benefits. One, risk footprints force organizations to carry realities forward, in order to be applied to new possibilities. Too often during the strategic planning or budgeting process, new ideas arise void of any connection to existing risks and controls, which in turn further complicate the ability to properly manage risk. Two, risk management amplifies the awareness of the impact from the actions of outside actors—positive and negative—as well as the liabilities that exist within. While it would be inaccurate to consider public institutions of higher education closed systems, the strategic planning and budgeting process often fail to recognize these forces. Finally, risk management serves as a tool for institutions to become more proactive about their problems. Knowing there is a high probability of risk from an event such as a mandated budget cut, risk management processes formalize the approach to design controls to mitigate any risks created by such an event. It is highly unlikely the current problems and challenges for public institutions of higher education will slow down any time soon. The disruptions have more than likely altered, if not stagnated, the planned trajectory to meet certain outcomes. I see great potential in using risk management and risk assessment as a tool for better action and decision-making. It provides the proactive approach necessary to design solutions before problems arise. It also has the potential to disperse the competencies for risks and control mitigation throughout the organization, so that overall enterprise management can be more efficient and effective. More important, I believe the use and value for risk management can serve as a guide for developing future budgets and strategic plans. It can introduce a new set of questions to understand the current problematic circumstances in higher education. Instead of accepting answers to questions regarding inevitable problems, risk management can advance the conversation to focus more on the failure to prepare, knowing the risk was always present. It has the potential to bring much-needed stability to the industry and in turn help to weather a storm that will not be ending anytime soon. Author: Kenyatta Lovett is a doctoral graduate of Tennessee State University’s Public Administration Program, [email protected].